How time flies! This time last month I was frantically packing threads into the van to drive to the Australian Machine Quilting Festival in Adelaide. 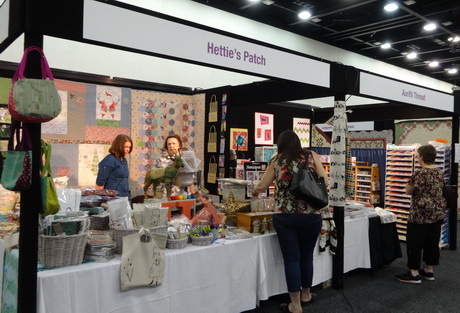 Ten hours, and 800 km, later it was time to set up the vendor stand in association with Hettie’s Patch, one of the Aurifil retail outlets in Adelaide. 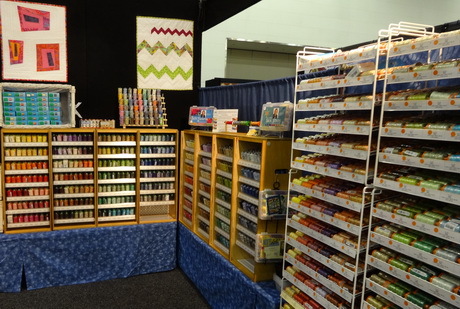 It is the third time Lorraine, the owner of Hettie’s Patch, & I have collaborated to take Aurifil threads to the Australian Machine Quilting Festival and it is always a fun weekend helping people choose threads for their classes. This year, the highlight class was a two day workshop learning to thread paint with Pam Holland and, at the Hettie’s Patch stand, we took great pleasure in helping students colour match the Cotton Mako’ 50 threads to their images in order to reproduce them in stitches. 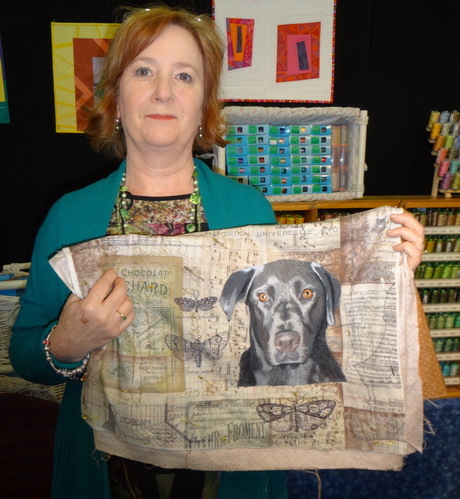 It was great to see the projects developing over the two days and I was sorry to miss seeing them all at completion but Jill W did bring her finished stitching back to show us how well the threads worked on the photo of her pet. 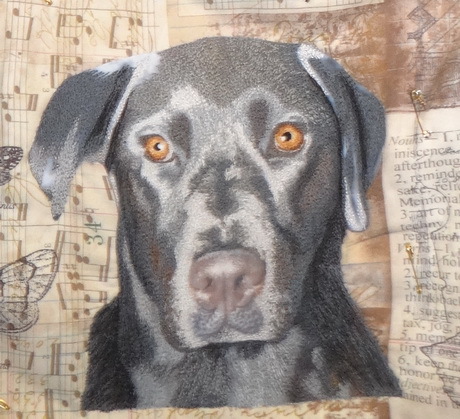 And a close up view of Jill’s dog to show the realistic light & dark, 3D effect, that she achieved with the stitching, I keep expecting him to bark. 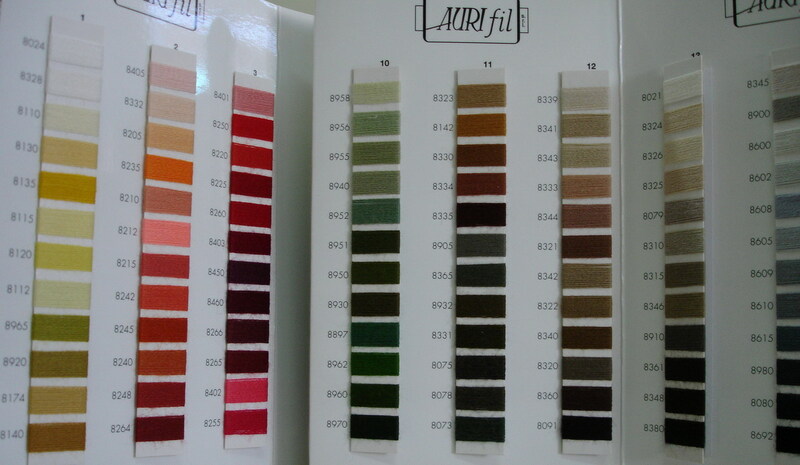 AMQF was a wonderful experience as, as the wholesaler/distributor of Aurifil in Australia, I don’t always have an opportunity to be so closely involved in helping textile artists match their thread choices to a particular project. 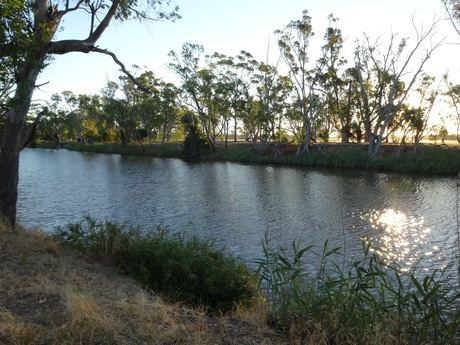 If you missed the Australian Machine Quilting Festival in 2014 be sure to watch for the next event in 2016. 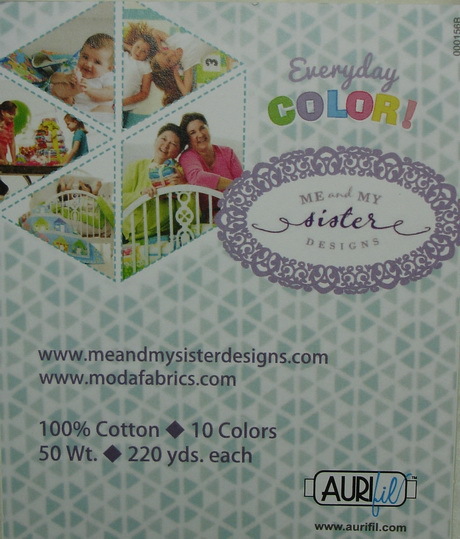 As to our next venture into collaborative marketing with a local Aurifil retailer, we are just waiting for the invitation. So come on retailers contact us. Last week we helped a customer choose threads for hand quilting, something that we often do but we don’t always get to see the results. 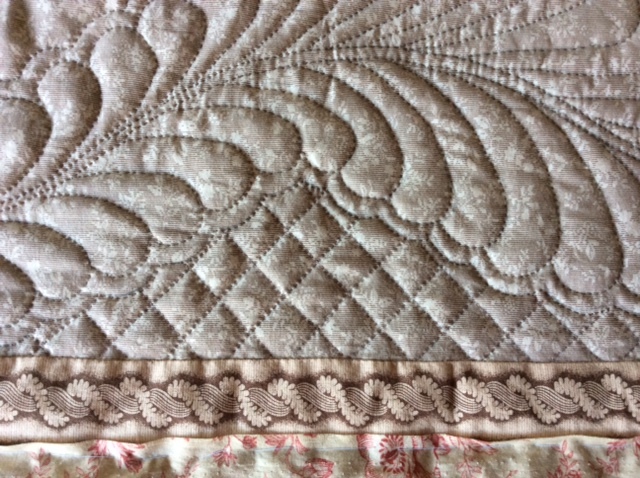 Well this week Judy L sent me a photo of the quilt ….. just look at her beautiful feather and cross hatch quilting. We played with several colours from the Cotton Mako’ 28 range. 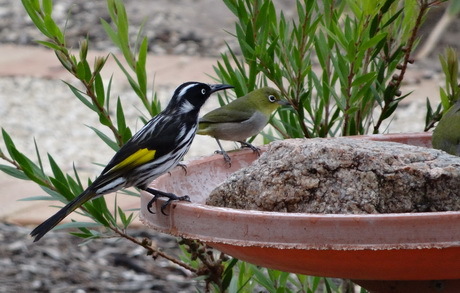 In fact we spent quite some time agonising over the colours … some looked too dark while others looked too light. Judy L finally decided upon a deep greenish brown for the feathers and warm brown for the cross hatching. 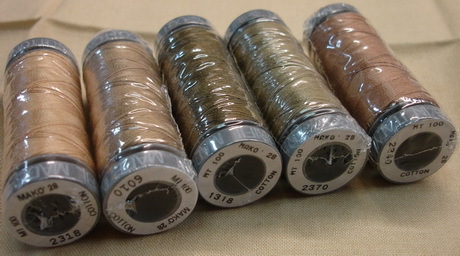 This reminded me of the times that I have helped a customer choose the thread colour when machine quilting. 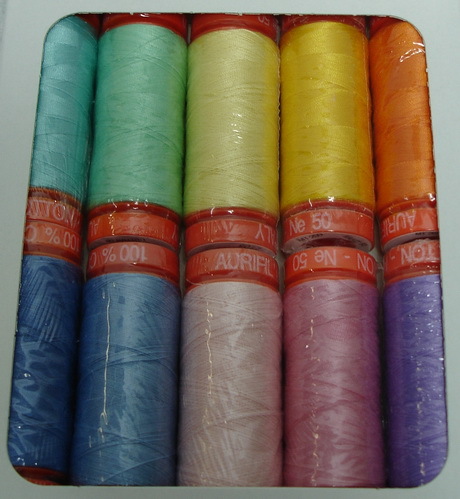 We have ALL the Aurifil colours at our finger tips, and many spools are open, so we can spread a length of thread across the quilt to preview the effect. Doing this has made me realise that you don’t have to have the “perfect” colour. More often than not any one of 4 or 5 colours would work, and look good. 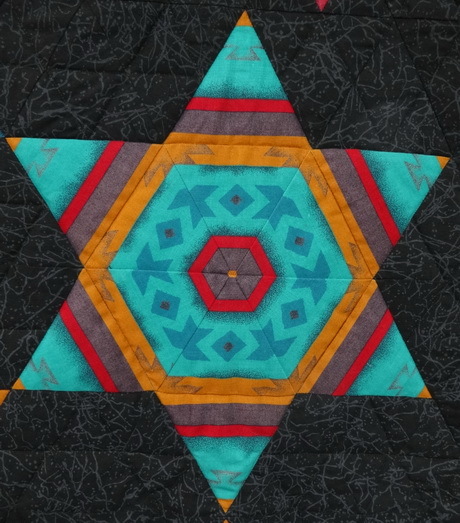 As Judy has found with this quilt, as long as the colour she chose was deeper & richer than the fabric colour, and the contrast was pleasing to the eye, it would achieve her desired effect and her hand quilting was always going to be a beautiful feature on the quilt. I enjoyed reading a recent response to “A Quirky Question” on the Martingale blog. The question was: “Have you ever made an ugly quilt?” and the winner’s response was an eye opener. This jogged my memory of a challenge that I entered when I first started patchwork. Way back then (1991), living in a remote community without access to any patchwork, or even fabric, shops it was a challenge to source fabric, so our small patchwork group decided to share our stash in an unusual way. We had an “ugly fabric” challenge. We each had to contribute a piece of fabric that we didn’t particular like … a piece that we considered to be ugly! Everyone’s fabric went into a basket and we then had to choose a fabric that we liked, and make up a block for a shared quilt. It was amazing … everyone found at least one piece of fabric that they liked, and the finished quilt looked quite good. Beauty (& ugly) really was in the eye of the beholder. In fact the quilt looked good enough to raise over $300 for charity when it was raffled for a $1.00 per ticket. Sadly, the photo has faded so I can’t share that quilt with you, but making it did give me a fascination for quilt challenges. The next quilt challenge that I joined was with the neighbouring patchwork group (260km away). We each purchased one metre of bright, wildly striped, fabric with an instruction to feature the fabric in a quilt design of our own choice. I cut the fabric into 4 1/2″ stripes, and then fussy cut triangles, using a technique that had been described by Jan Urqhart in the Down Under Quilts magazine. This method of cutting a striped fabric created 12 triangles, enough to piece the centre and points of one six pointed star from each stripe. I took the instruction to feature the fabric in the quilt to heart, and used every centimetre of fabric in the quilt. Sadly, I don’t get that many challenge quilts finished these days but I am trying to keep up with our office Round Robin Challenge. 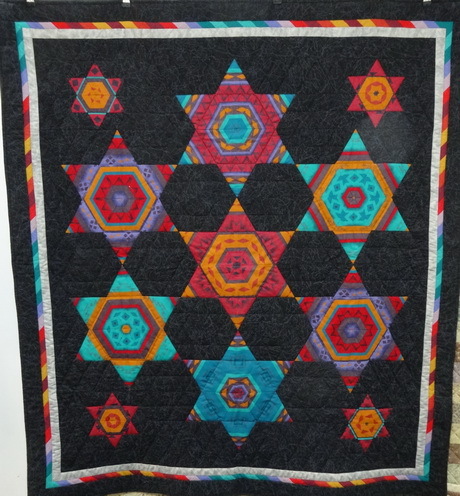 We would love to hear about your Challenge Quilts, so write a comment, and share the story. 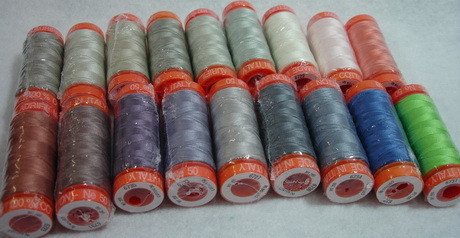 The latest thread shipment arrived mid last week so we have been in a whirlwind behind the scenes here at Always Quilting. It is always “all hands on deck” to get the cartons unpacked, and the stock shelved, as it is impossible to move until we get everything put away …… so apologies for the delay in responding to anyone who placed an order in the past week. The fun part of unpacking is the first “real life” viewing of new products. 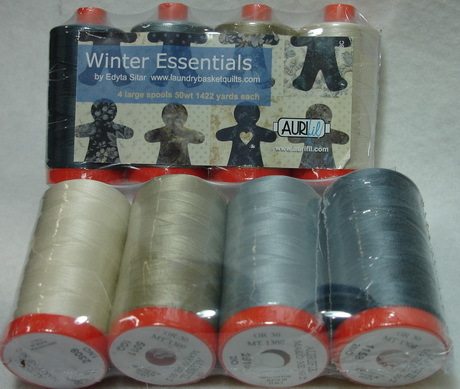 This time we got two new Designer Collections and Edyta Sitar’s Winter Essentials. The colours in Edyta’s Winter Essentials perfectly mimic the start of wintery days here in Melbourne. And the two new designer collections will be the antidote needed to brighten those dull days ahead. 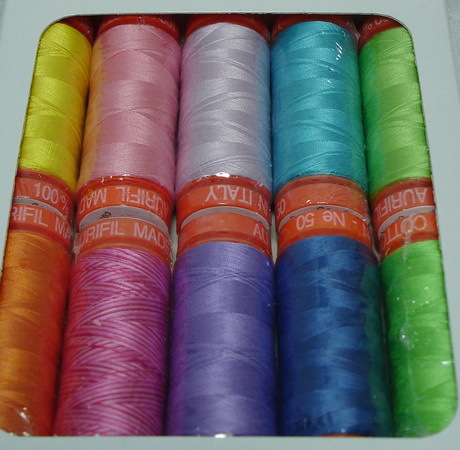 Even more exciting, was to see the new colours that Aurifil has introduced to the Cotton Mako’ range for 2014. At first glance they looked very similar to the existing greys, khakis & blues on the colour chart but then, with a closer examination, the subtle differences became obvious. I can already see how well they will work with the new season fabrics. 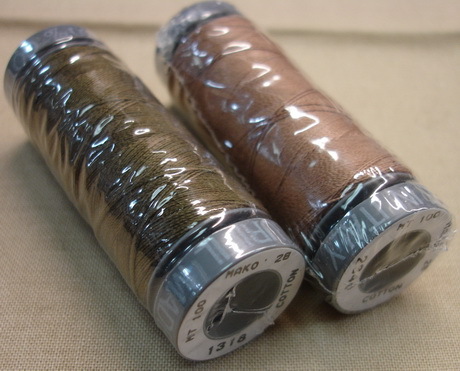 I’ve found two colours for fabric swatches, left with us by a pattern designer for thread matching, and another colour would have been the perfect grey/brown to quilt a project that a customer brought into the store today. We have a limited number of the new designer collections in stock but unfortunately we do NOT yet have spools of the new colours in stock. However, watch this space after our next shipment arrives. 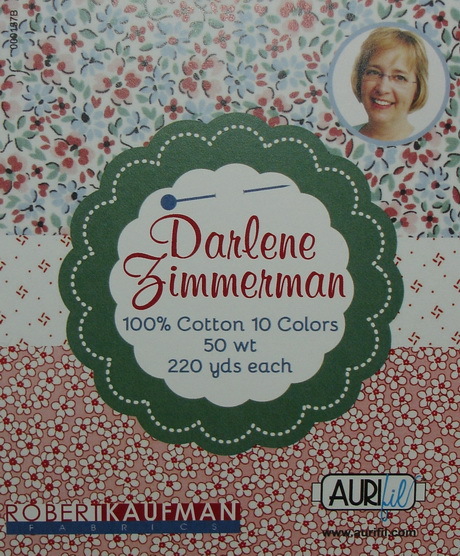 To see the full range of Aurifil Designer Collections pop over to the online store. I love seeing projects that people have made using Aurifil threads, so it was a treat to have Janet Kerton call into the showroom today. Janet is the owner of Windflower Embroidery, where she specialises in creating & teaching embroidery, particularly wool embroidery and applique. This delightful folding book design can be used as an embroidery compendium, or as jewellery storage folder, and it is one of Janet’s current teaching projects. 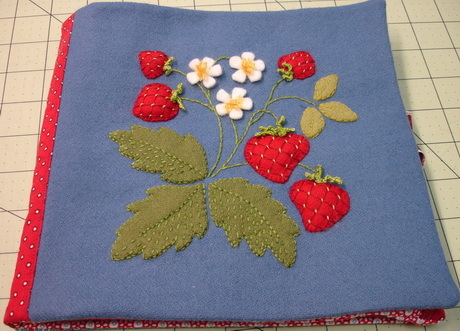 The felted wool applique has been embroidered with Aurifil Lana, a wool blend thread that is ideal for hand embroidery, applique and embellishment. With the wonderful colour range in the Lana wool blend there is plenty of choice for creating beautiful projects. Visit our online store to see the range in greater detail, or to purchase your own set of threads. 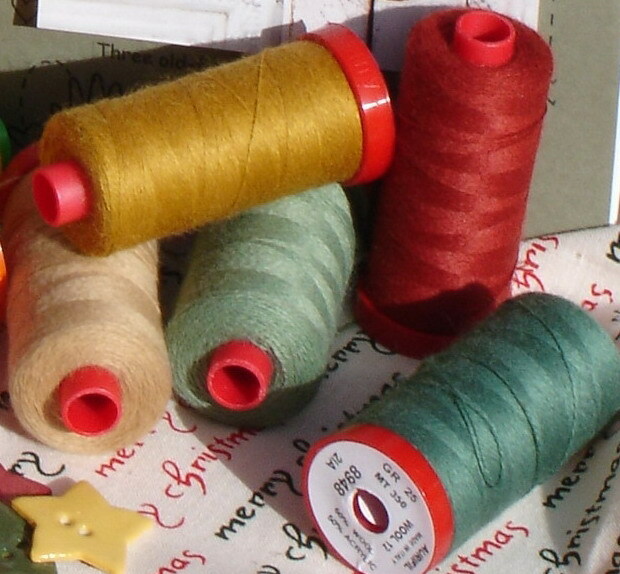 Happy New Year to all, wishing you a wonderful crafty 2014. 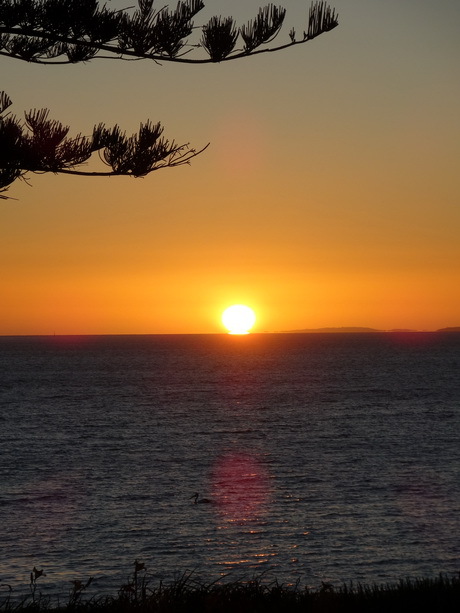 After three weeks spent driving from one side of the country to the other, and then back again, I am trying to get my thoughts back into work mode this week without much success. 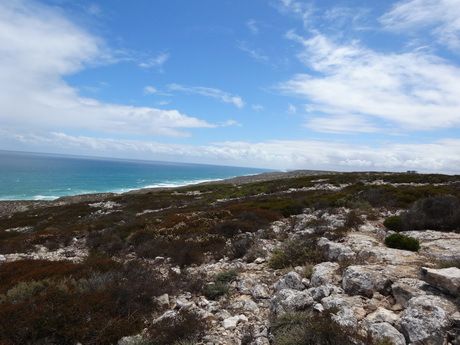 I’ve driven across the Nullarbor many times but I always forget how far it is between towns, and localities, and just how far it is in kilometres from one side of the country to the other. 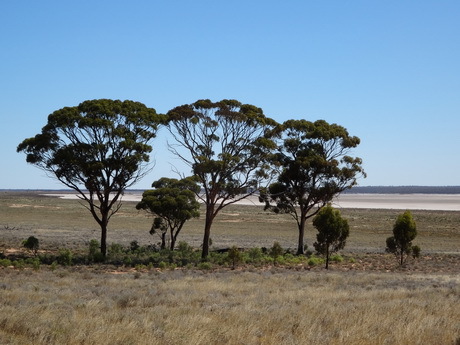 How do these trees survive on the edge of a salt lake? 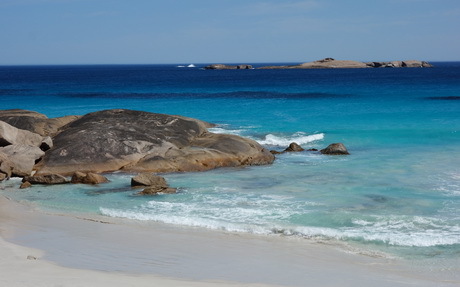 So I thought that the post today should be about the amazing country through which we traveled. It was worth all the driving as we had a great visit with family for Christmas, and then met up with more family at a nephew’s wedding. 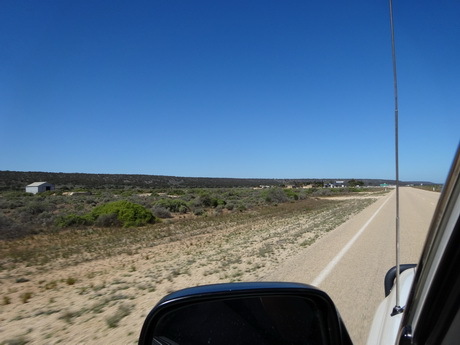 In the process we were able to test the livability of a great little camper trailer along the way. I’ve hardly picked up a needle and thread since mid December (I tell a lie … I had to repair a lost button while we were travelling … but that doesn’t really count as stitching does it?) 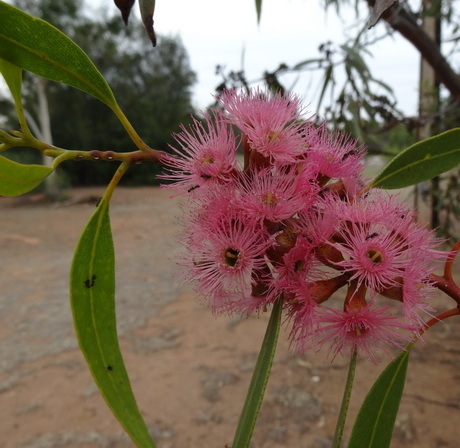 but I think that I have collected some great photos for landscape appliques and thread painting! 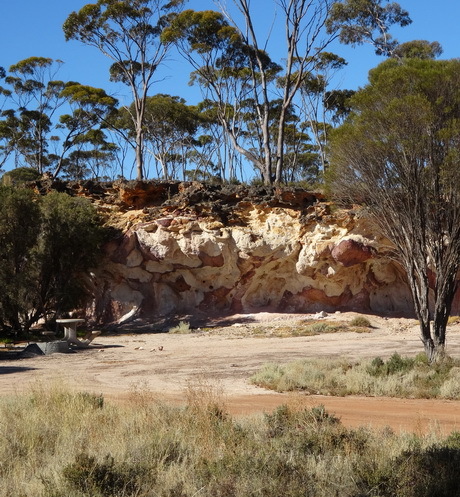 and the kangaroos treated one of the caravan parks where we stayed as home. 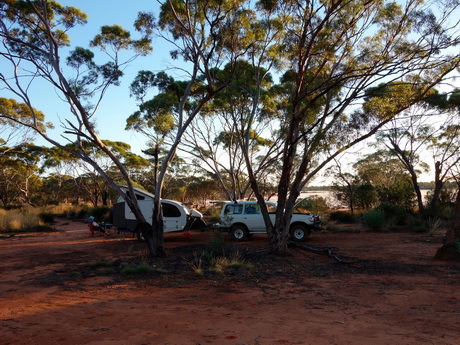 It was 6am and the Kangaroos had already had breakfast and were getting ready for a lazy day in the shade. 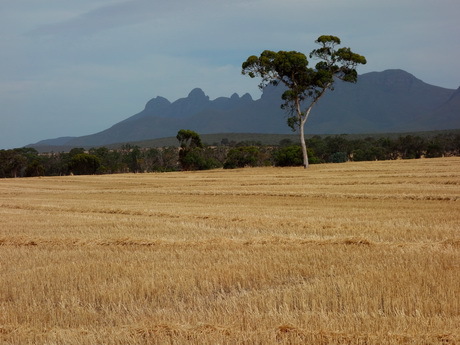 It makes me realise that I really should take more time away from the city to enjoy a quiet time without the telephone, computer or TV. Well our next post will be back to work with some great ideas for using fabric & threads so do subscribe or call back to this page regularly. I was so pleased that I stayed to listen to Dijanne Cevaal, the guest speaker on Saturday evening, after the day of vending at the Australian Quilt Market. 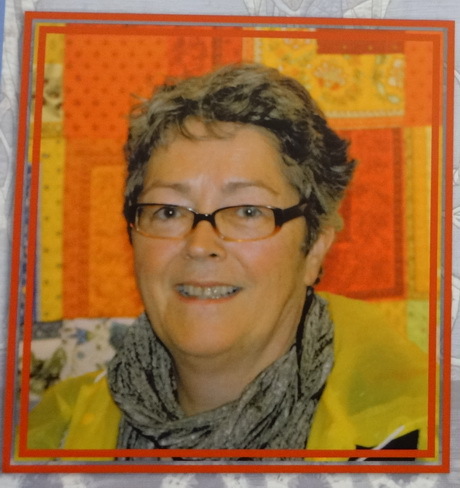 Dijanne talked about her creative textile journey, showed examples of her work, and shared stories from the years when she curated touring exhibitions of her own quilts, and those of other Australian quilters, around the world. It was fascinating to see how an event, or conversation, could lead to the most amazing places and experiences in the world of textiles. Dijanne Cevaal, as featured in the advertising blurb for her guest speaker appearance. 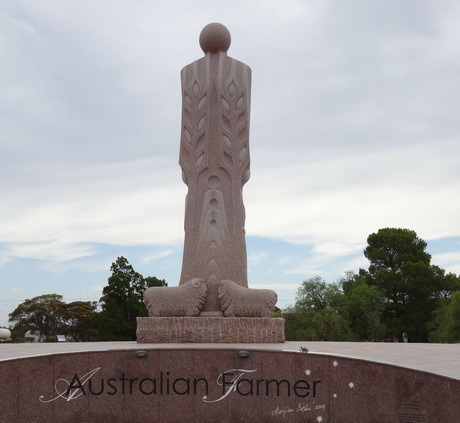 If you have followed Dijanne’s work on her blog you will know that one of her ongoing projects in the past was a series of Sentinels. Dijanne said she had made the sentinels her height, so they were realistic & they looked stunning in real life. She is currently working on a series of embroidered faces, inspired by the feminine representations found at Chartres, which can be viewed on her blog. 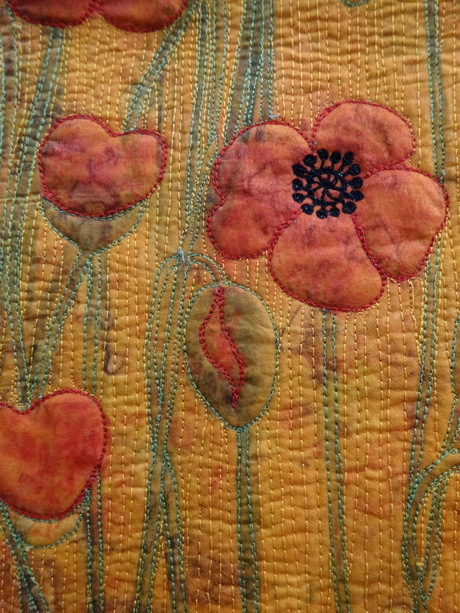 Her work is often a combination of hand and machine decoration on hand dyed or printed fabric. I was particularly interested to see the work that she showed us where she had embellished the surface with Cotton Mako’ 28. Dijanne Cevaal is truly an artist, her medium is textiles, and she creates stunning works with fabric, paint, thread and beads. As well as selling her art, she also runs workshop and sells kits to help you create your own masterpiece. 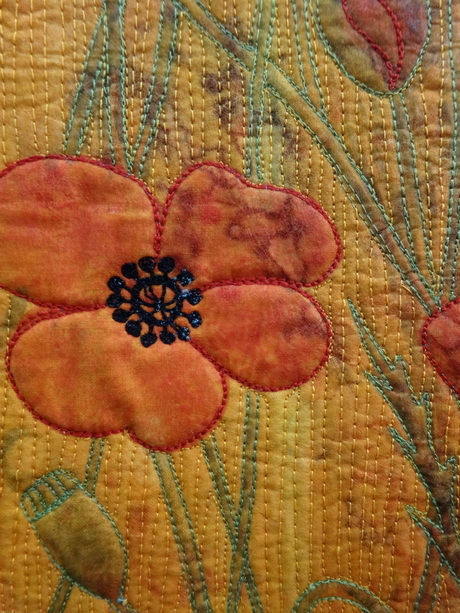 See the Poppies, and other pieces, that are for sale on Dijanne’s blog. This was just one of the highlights from the Australian wholesale Quilt market last weekend. 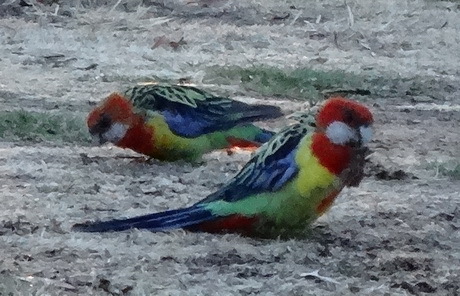 Watch this space on Friday to see what Ladybirdee has to report about the market.